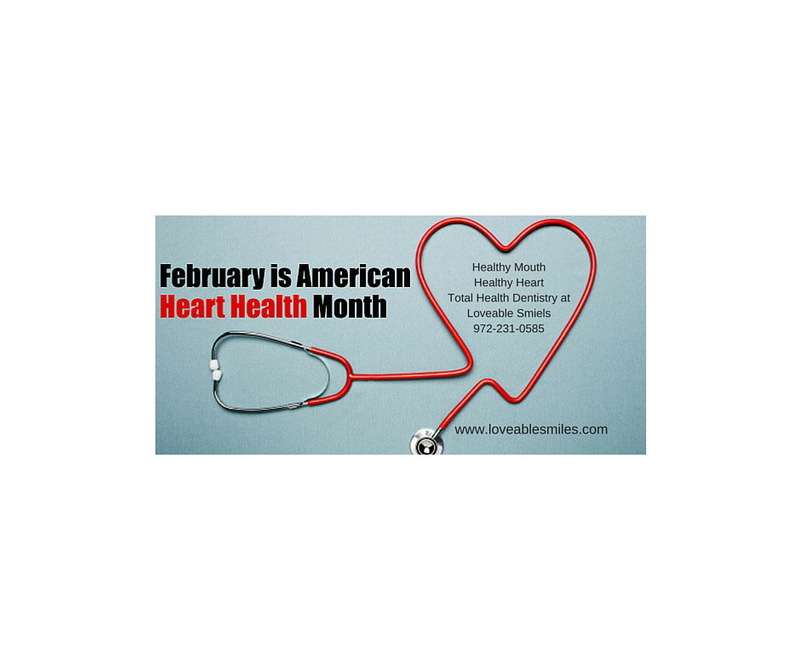 February Is Heart Health Month – Get To The Dentist! How is heart disease related to your mouth? Heart disease is the leading cause of death in the United States. 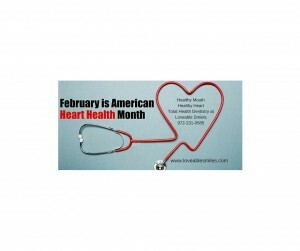 The month of February is dedicated to raising awareness about heart disease and increasing knowledge ab out prevention. Here at Loveable Smiles we are dedicated to educating our patients about the mouth/body connection. An increasing number of researchers are finding that there’s a link between common health conditions—like heart disease—and oral health. It’s becoming clear that the body can affect the health of your mouth and vice versa. Several studies exist to explain the link between periodontal (gum) disease and heart disease. 1. Oral bacteria can affect the heart via the blood stream and then attaching to fatty plaques in the coronary arteries (heart blood vessels) and contributing to clot formation. 2. Another possibility is that the inflammation caused by periodontal (gum) disease increases plaque buildup, which may contribute to swelling of the arteries. The number one cau se of death is inflammation. 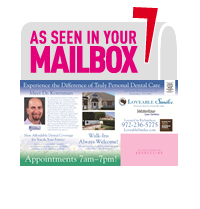 This February, we urge you to call Loveable Smiles for your Total Health Dental Care appointment at 972-231-0585.